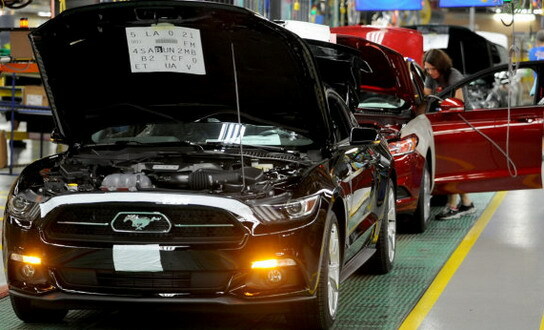 Ford’s new Mustang was introduced late last year, but its serial production began officially today. 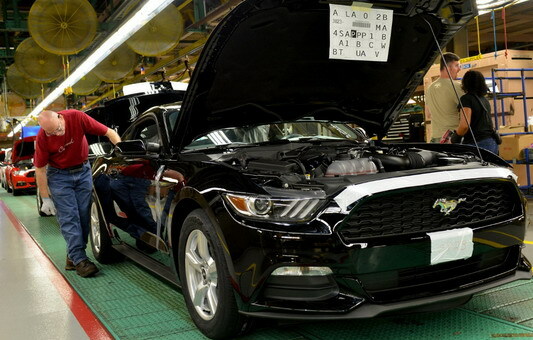 Production started in Flat Rock factory in the United States (in whose modernization Ford invested 555 million dollars), and on the national market, the new Mustang will be available from the autumn. Sixth-generation Mustang will be sold in more than 120 countries, including 25 countries in which the Mustang will be available with the steering wheel on the right side (Britain, Australia, South Africa …). In the United States will be made available three engines, including 2.3L EcoBoost with 310HP and 319 lb-ft, 3.7l V6 with 300 hp and 280 lb-ft, and the 5.0L V8 with 435HP and 400 lb-ft of torque.